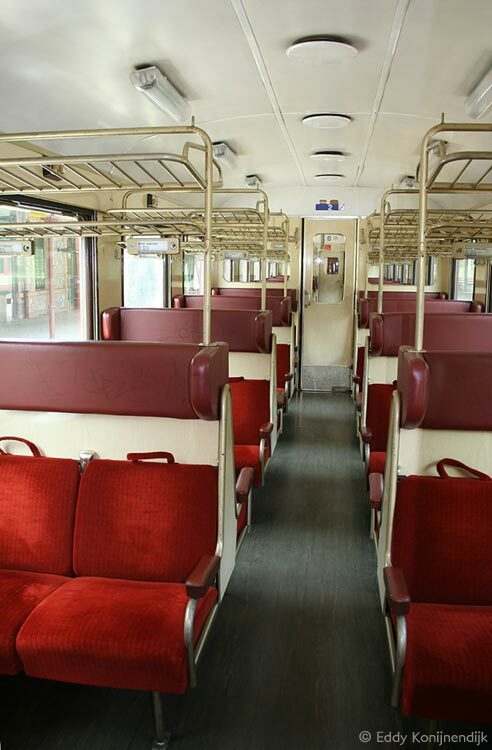 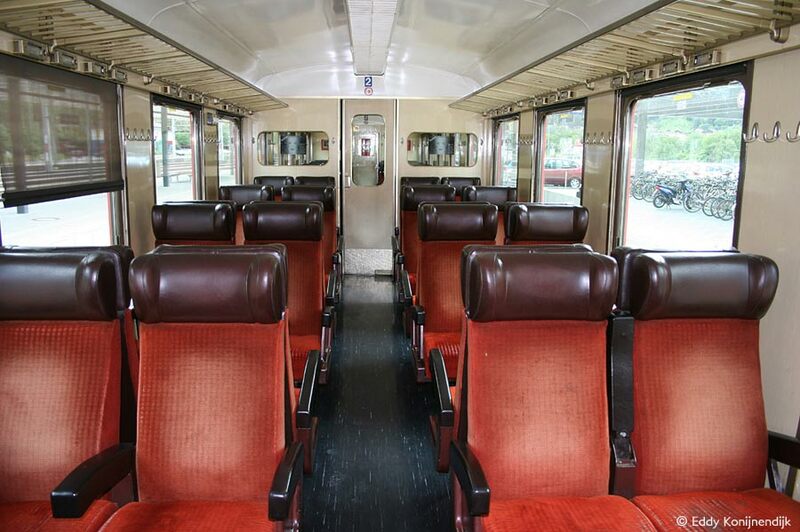 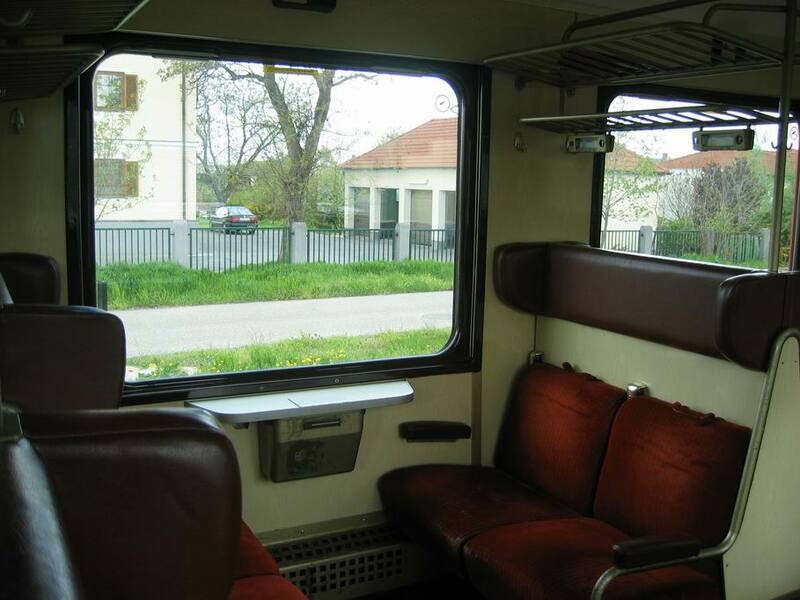 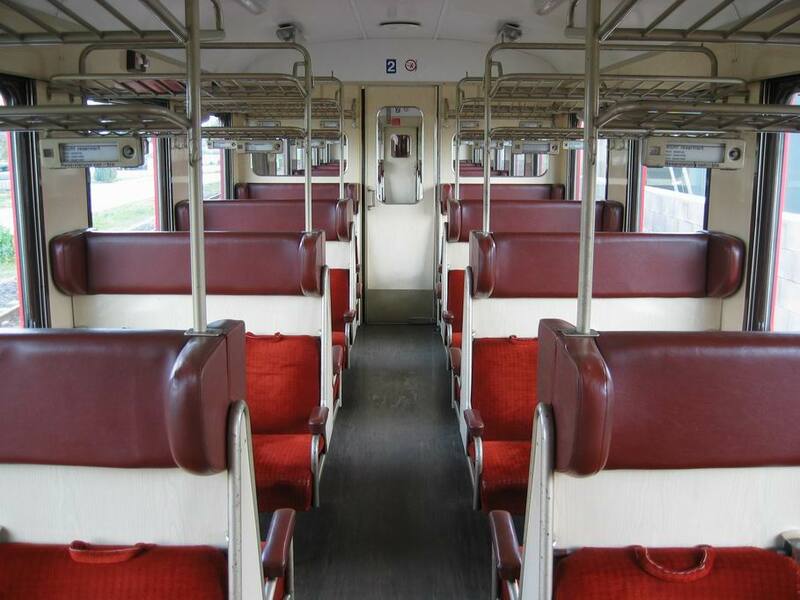 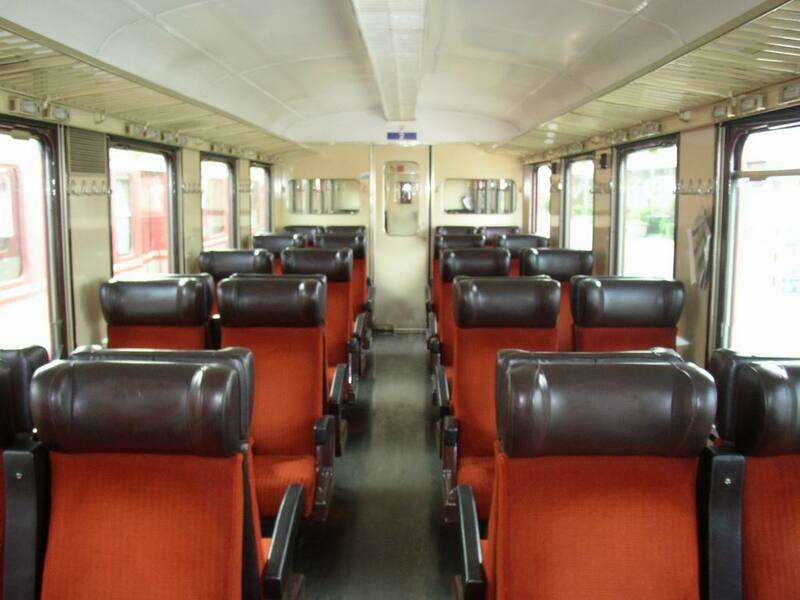 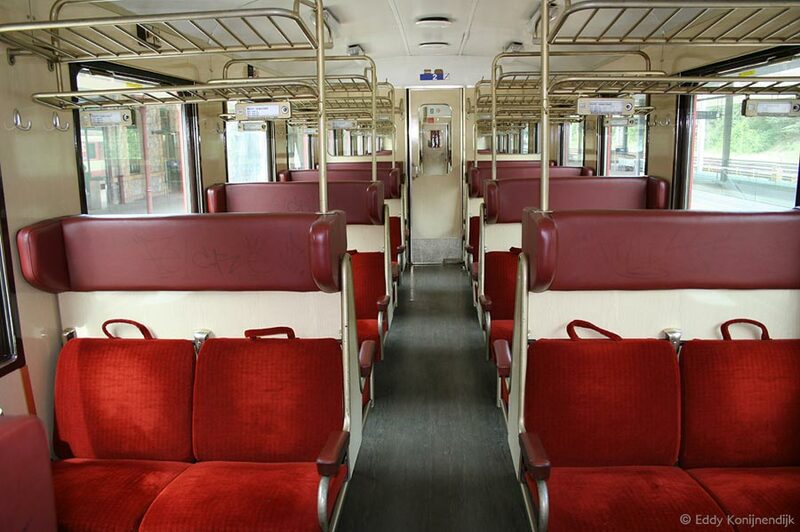 Interior of a Schlieren Bp car of the ÖBB with 80 seats. 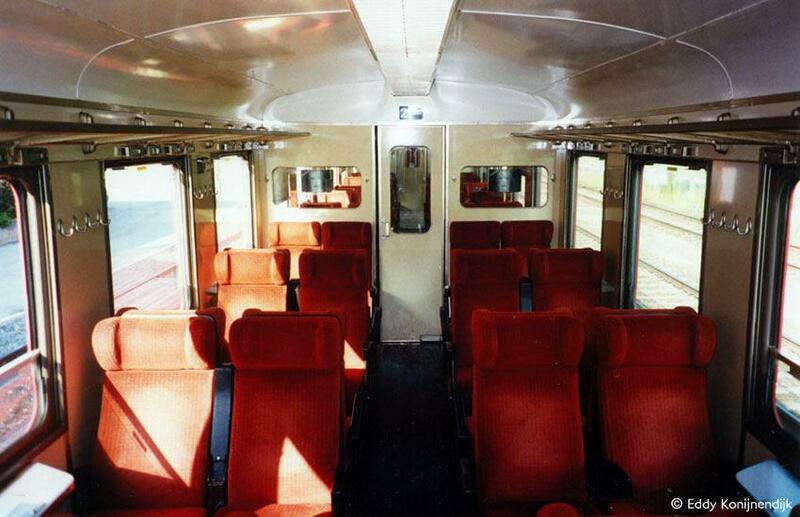 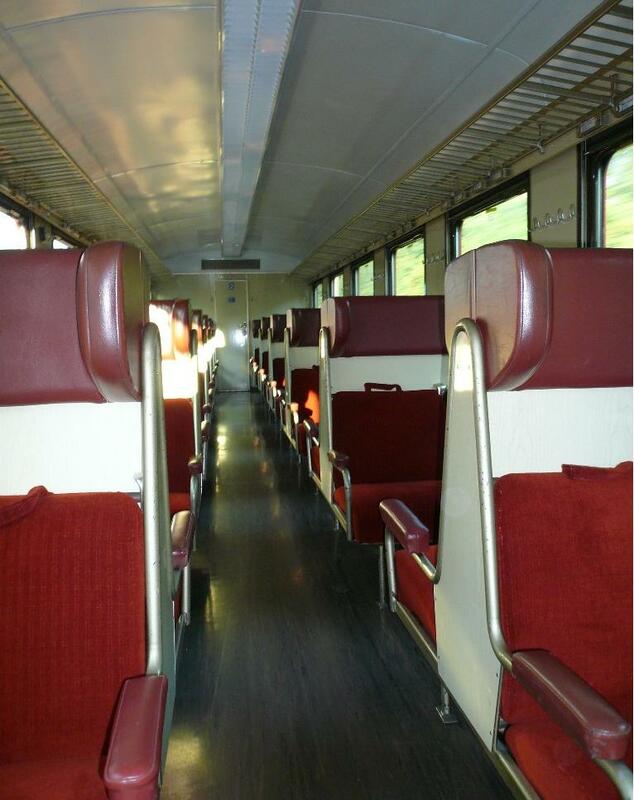 This coach design is based on the Swiss EW I, but has more comfortable, adjustable seats. 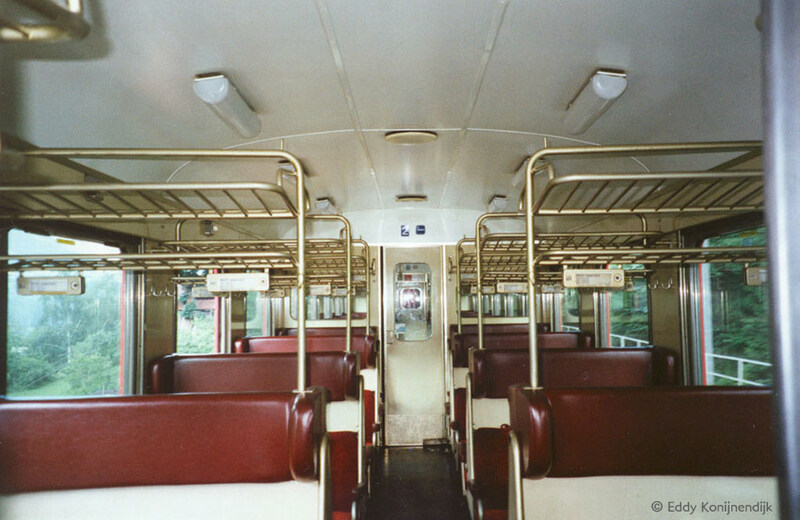 Graz Hbf, 2002-09-15. 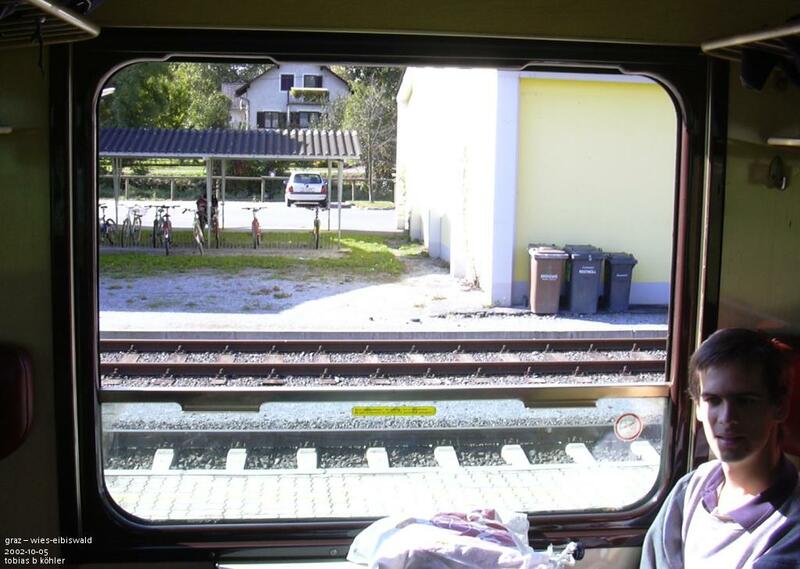 This is just a demonstration how much the windows of the ÖBB "Schlieren" cars can be opened! 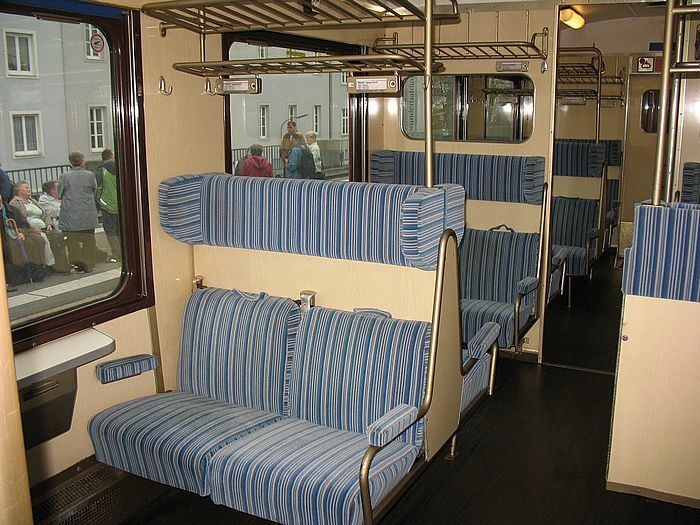 (The person on the right is Helmut Uttenthaler.) 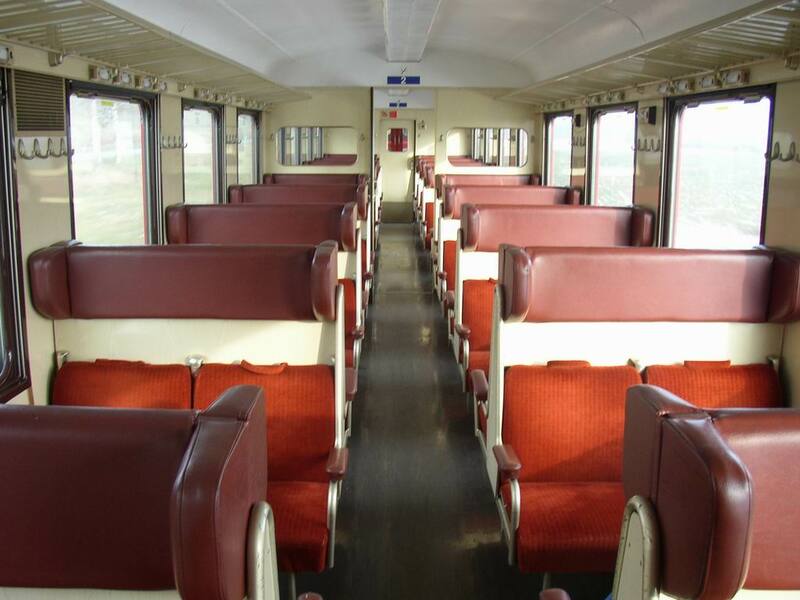 2002-10-05. 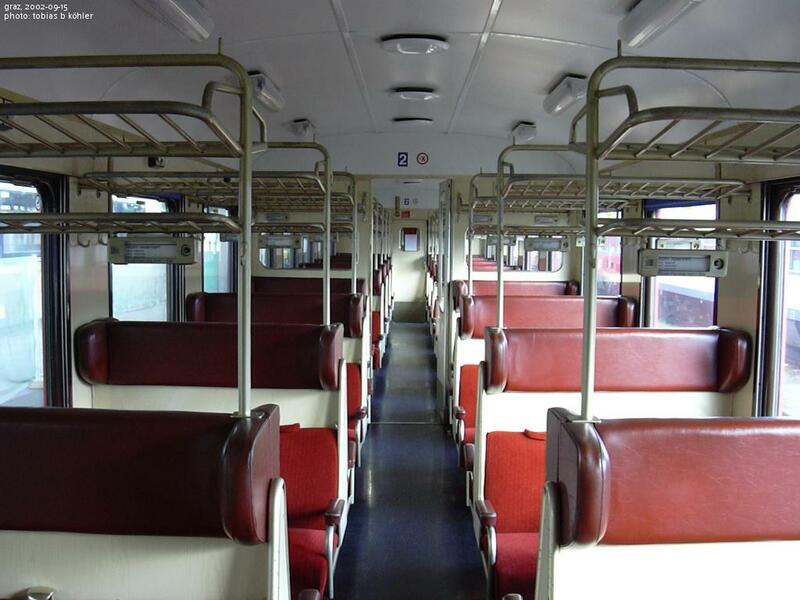 Interno carrozza RegionalBahn Linz Hbf-Attnang-Pucheim. 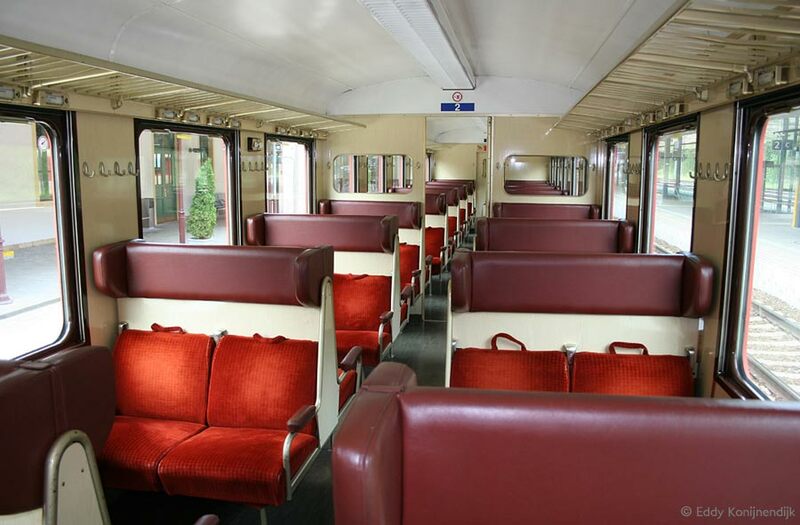 Interior of RegionalBahn Linz Hbf-Attnang-Pucheim car.